Improve Your Health While Having Fun! 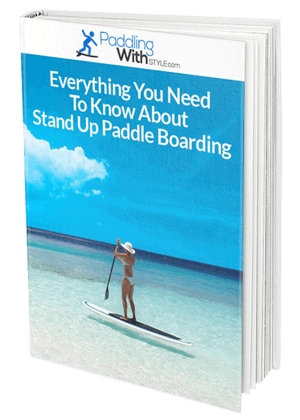 Download our FREE eBook guide to find out how much you can gain from getting a stand up paddle board and taking it onto the water, and learn about the sport in detail. If there?s one thing we could all do with getting a little more of, it?s exercise, but finding something that we actually enjoy doing can be hard. Not only do we need an activity that gets our heart rate going but it should be fun enough to include the entire family as well. Traditional sports and outdoor activities might be fun for a while, but you really need an investment that will do more than just get you exercising. You need something fun that you can build your skills with and easily include all family members no matter their size, background or age. For those people with access to open water, you might have noticed people out and about on their stand up paddle boards before. These simple devices have seen a boom in recent times thanks for the fun way they engage everyone and get you outside into fresh air and cool water, without even realizing you?re getting fit in the process. If you?ve been searching for a great beginner?s board that will allow everyone to test the waters of paddle boarding, the Isle Versa is the right pick. Just as the name suggests, this is one of the most versatile stand up paddle boards on the market and a great way to begin learning the skills of this wonderful activity. Isle Surf and SUP know exactly how to create water sports equipment, and have been doing so with many happy customers for years. Their products allow you to surf, paddle, and explore, and they aim to make the water enjoyable for all of their customers, no matter their skill level or background. The Isle Versa Stand Up Paddle Board has been designed as a beginner?s board that will quickly grow your love for this water sport. The Isle Versa has just about everything you need to get started with paddle boarding and has been designed with ease of use in mind. This board comes with a number of accessories that can make a day on the water more enjoyable, including an adjustable paddle and fin. If you?ve been searching for the perfect paddle board to begin your obsession with, the Isle Versa is a must have. Isle is a born and bred Californian brand that has made their boards for the average American to enjoy in our many wonderful bodies of water, so you can put your trust in them to create something perfect. The Isle Versa Stand Up Paddle Board is a great choice for singles or families looking for their next adventure and wanting to get active in the water while truly enjoying yourself. The best thing about the Isle Versa is how it?s been designed specifically for beginners, and that?s exactly who it caters to. Everything from the easy transportation grooves to the curved edges all around makes it great for kids and adults alike to learn this awesome sport. Although some others are marketed as being suitable for all users, this one is truly a simple board with beginners in mind. One small problem with this board is its ability to pick up dents quite easily, which means you really need to be careful when handling it. Although the dents won?t do any harm to its usefulness, they can take a bit away from how it looks. Keep it protected with a board cover and you should be able to keep it free from marks. The additional bonus pack that comes with this is another of its better features, with a handy little board and fin thrown in as an extra. Usually, you would need to purchase these accessories separately which could add another hundred or more dollars to it, but Isle has supplied them for free. 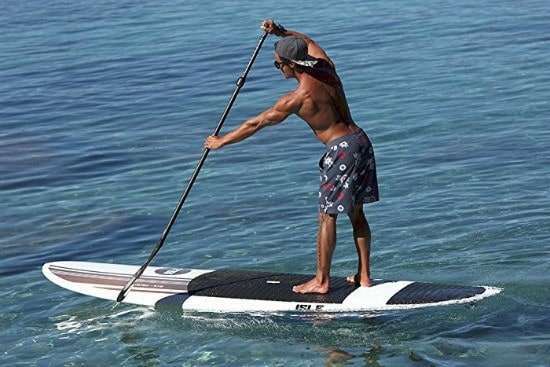 If you?re sold on this board and itching to get started learning how to use a stand up paddle board, you can get the Isle Versa for a great discount through Amazon. This quality board and the accessory kit will cost just under $800 when you purchase it now, and this will include free shipping directly to your door. For those who want express postage, you can get that by being an Amazon Prime member and it will come at no cost at all, so it?s certainly worth considering. The best thing about this board is that it comes with a full two-year warranty, so you know you?ll get countless uses out of it with all of the family. In addition, Isle will also let you return the board free of charge should you not enjoy it or find it comfortable to ride on, so long as you do so within 60 days. If you?ve been searching for the perfect stand up paddle board to begin your obsession with this wonderful sport, the Isle Versa is the right choice for you. 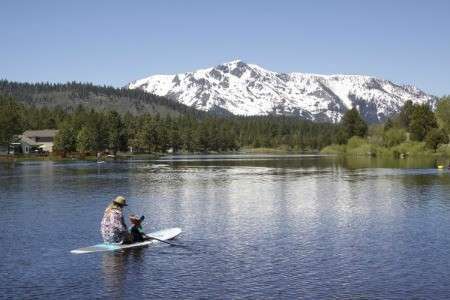 Not only can you learn how to be a paddle board pro on it but so can the rest of the family, so it?s something that will be enjoyed by all. 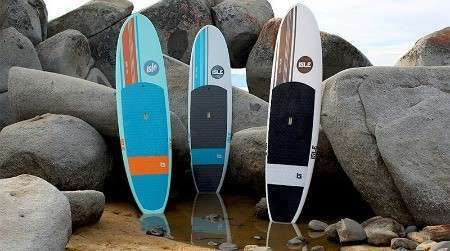 Isle is one of the most trusted names in surfboards and paddle boards, and their Versa is a popular choice thanks to its ease of use. To get started with one of the world?s most loved water sports, invest in the Isle Versa Stand Up Paddle Board.